My getting a lot better at baking, perhaps turning myself into a domestic goddess! Well, Mr Behemoth finished his CFA exam, so I decided to kick things off by baking a celebratory Dense Chocolate Loaf Cake (p. 166) in his honour (I can currently hear him singing Aqua – Happy Boys and Girls in the shower, so I assume he’s feeling good about not studying!). The cake kicks off the Chocolate chapter of her book. 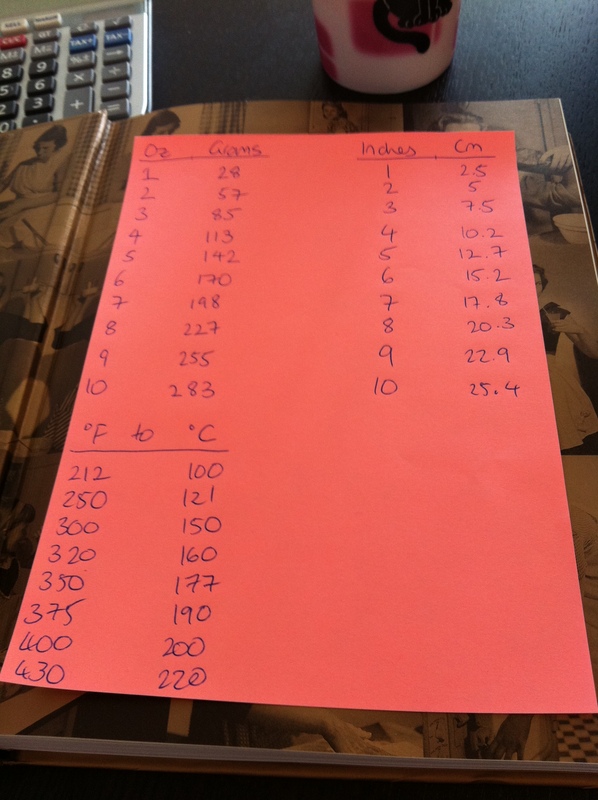 The first thing I had to do was deal with the fact that I had accidentally purchased the American version of the cookbook – by writing out an extensive conversion list from imperial to metric measurements. That way next time I’m looking at a recipe I can just refer to my ready reckoner. This resulted, however, in my using slightly different proportions of ingredients to the metric recipes I have been able to find so far on the internet. Never mind! The cake was still delicious. Conversion Chart – for the front of the book! The cake mix is very liquid, which freaked me out a little bit, and Nigella does say that the cake might sink in the middle because it’s such a dense and damp cake. But mine turned out perfectly, although I did have to use a smaller loaf tin than specified, due to the fact I have ONE loaf tin and it is an inch shorter than hers) and used the rest of the mix to make four or five muffins (which were a little overcooked, should have taken them out earlier than the cake). I later covered the cake with chocolate ganache icing (from p. 22) and used some of that Queen’s writing icing to put the words Well Done [Mr Behemoth] on it. We ate our celebration cake for dessert, after visiting the pub with friends and housemates on the night Mr B did the exam. It was moist and scrummy, but I think the ganache took it from an everyday sort of chocolate cake to a dessert. 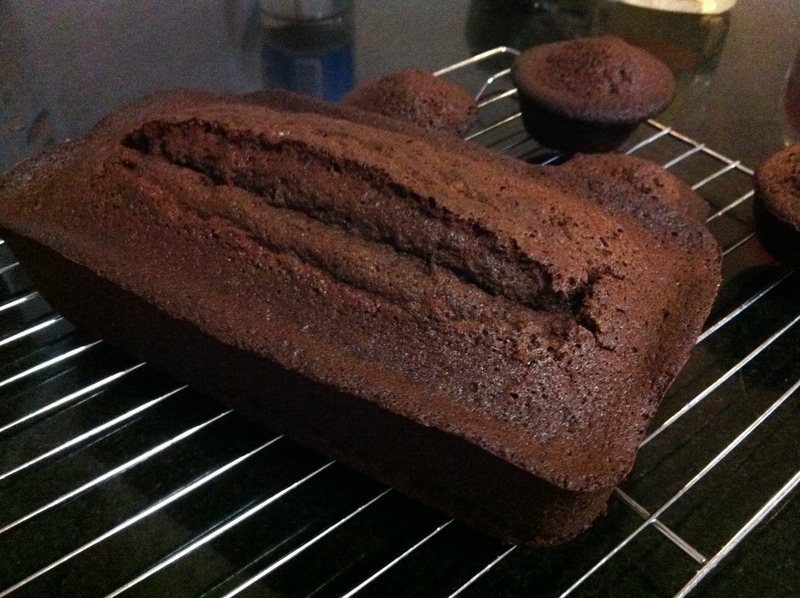 Tags: cake, chocolate, dense chocolate loaf cake, domestic goddess, nigella. Bookmark the permalink. Looks really good! I would so love to try some. I am sure it would taste great.